A report that questioned a massive growth spurt in a company owned by the son of BJP chief Amit Shah was conflated today by the party with "supari journalism" (bounty-hunting). "There is a new fashion in journalism -- create a website, run sensational news about an important person or his relatives," said senior BJP leader Sidharth Nath Singh in Lucknow today. The opposition has used the report to accuse the BJP of allowing crony capitalism to proliferate and demand that Prime Minister Narendra Modi order an investigation into the business dealings of Jay Shah, the son of BJP president Amit Shah, who has said he will sue The Wire, a news website, for 100 crores for defamation. Congress Vice President Rahul Gandhi said today that the controversy suggests that the Shahs have looted the country and that instead of serving as the country's watchman or chowkidar against corruption, as promised, the PM has proved to be a "bhaagidaar" or "partner in crime." Sidharth Nath Singh said that the opposition leader, however, has exposed his ignorance with his allegations. 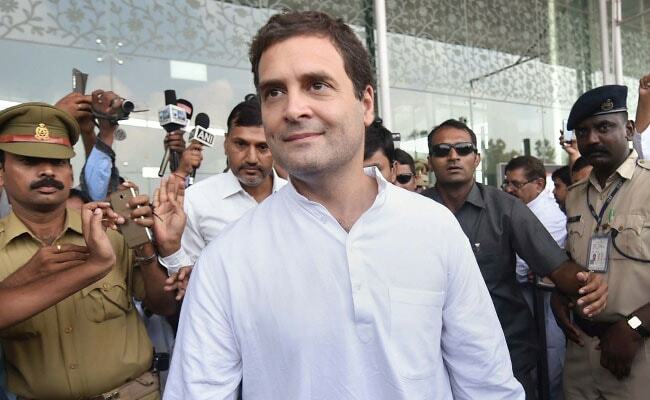 "Rahul Gandhi should step out of his diapers," the BJP leader and minister said. "He tweeted that Jay Shah was the only beneficiary of demonetisation. Jay Shah wound up his business in October 2016, so how could he have benefited from demonetisation (which was announced in November)?" The article that has incited the controversy states that Jay Shah's turnover increased 16,000 times in one year after the BJP was elected in 2014 and that his company was given an unsecured loan, but it was wound up in 2016 after declaring losses. (NDTV cannot independently verify the allegations). Jay Shah and the BJP have denied any financial wrongdoing. The party has said that loans were obtained transparently and repaid in full with interest. When asked why ministers were being used to defend Jay Shah, a private individual, Sidharth Nath Singh said he was responding to political allegations made by the opposition.